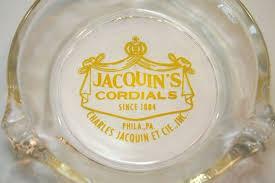 No other spirit distilling operation in Philly intrigues more than Jacquin. The company's cordials are a ubiquitous brand throughout the world–I've seen them for sale in clandestine Indian liquor shops where the higher caste members flout the religious ban on spirits. But few Philadelphians realize they're still produced on Trenton Avenue in Kensington. The operation sprawls across several blocks from Huntington Street to Lehigh Avenue, projecting a nostalgic 19th century image of manufacturing in Kensington. During warm weather, Jacquin's employees sit outside the factory on their lunch breaks, eating sandwiches and snacks they packed at home and talking to the neighbors who they seem to know on an intimate basis.